HatTrick Break #297: 2015-16 Anthology featuring hitcoin and 7 Bonuses! The product for this box break will be a box of 2015-16 Anthology which contains 1 pack per box, 7 cards per pack. breakninja.com is used to determine the team for each card in this product. 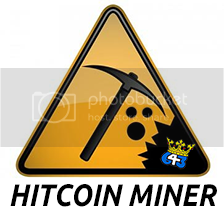 #1: The Hitcoin Miner Bonus - For every team you purchase in this break, you will receive 1 HatTrick hitcoin. Hitcoins can be redeemed for cards, break slots, bidding credits, and boxes. Please see the Hitcoin Store on the forum for a list of items available to purchase and to see your hitcoin account balance. #2: Hitcoin Double Up Bonus - At the beginning of each break there will be one PLINKO board drop to select a team for Hitcoin Double Up. For every hit that comes up in the auction box, the owner of the Hitcoin Double Up team will receive 5 hitcoins! Hitcoins can be redeemed for cards, break slots, bidding credits, and boxes. Please see the Hitcoin Store on the forum for a list of items available to purchase and to see your hitcoin account balance. #3: The Hitcoin 5+ Bonus - For every five teams purchased in this break you will receive a bonus 5 hitcoin. This is on top of the 1 hitcoin per team purchased you already receive! #4: Going Streaking – If anyone buys into 10 HatTrick Wednesday auction breaks in a row they will receive a free team in a dual break of 16-17 Premier and 16-17 Black! All 30 of the slots will be given away and then the break will happen live on the 643 BreakersTV channel! #5: Get out of Jail Free Bonus – To go along with the Streaking Bonus, there is an addition that can save your streak if you miss a break. 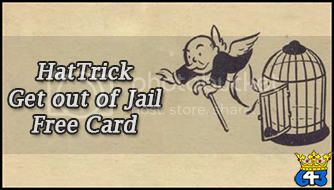 During each break I will give away a HatTrick Get out of Jail Free card to one person in the break. This card can be used anytime you miss a break up until the Streaking bonus is changed or discontinued. These cards are not transferrable but you can accumulate more than one. #6: Hitcoin PLINKO Bonus – During any PLINKO board puck drop, if the puck goes into the Bonus slot 25 Hitcoins will be awarded. To award the Hitcoins, one more drop on the PLINKO board will take place and the winning team gets the Hitcoins! Once the bonus is activated it is complete until the next break. 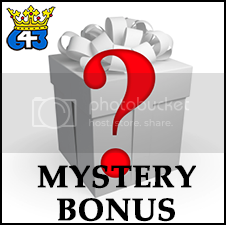 #7: Mystery Bonus – The Mystery Bonus is a bonus to give back to the buyers when the bids go high. Extra prizes can consist of hitcoins, cards, break slots, Hit Draft slots, case slots, and extra hobby boxes. When the bids go high, the bonuses fly! This bonus game is like PLINKO from the Price is Right but modified for our box break bonuses. At the bottom there are 30 slots with team logos, these team logos will be randomly inserted before every break. At the top there are 30 starting points numbered 1-30, I will roll a 30 sided die to determine where to drop the “puck”. Whichever slot on the bottom the puck lands in will determine the winner of the associated bonus prize or bonus spot. BONUS Spot on HatTrick PLINKO Board – There are two slots, one on the furthest right and one on the furthest left that are Bonus slots. If the puck lands in one of these bonus slots the Hitcoin PLINKO Bonus will be activated. Once activated the bonus will be given away with another drop on the PLINKO Board. Unless there is an unforseen issue, I break live on Breakers TV on the 643boxbreaks.com channel (http://breakers.tv/643boxbreaks) and the video will also be uploaded to YouTube and a link sent out for your viewing pleasure. You can watch past breaks on the HatTrick YouTube channel here: HatTrick YouTube Channel. At 643BoxBreaks.com, it is our #1 goal to get your cards shipped out to you as safely as possible. Hits will be shipped in a bubble envelope and properly secured in quality shipping materials (a soft sleeve, followed by a top loader, and finally a team bag). All of our shipping is provided to you free of charge! Taking this into consideration, we look to be as economical as we can in dealing with shipping while also getting your hits to you promptly. My packages are shipped out every two weeks. In the rare event of a package containing just a low-level insert, I may hold the parcel until your next hit and ship out at that time. Free shipping is provided without tracking or insurance. Sellers are not responsible for parcels lost or damaged by the Postal Service. Tracking/Insurance is always available for any parcel at the buyer’s expense.